The X Series oil burner range cover outputs of 14-100kW over three single stage burners. 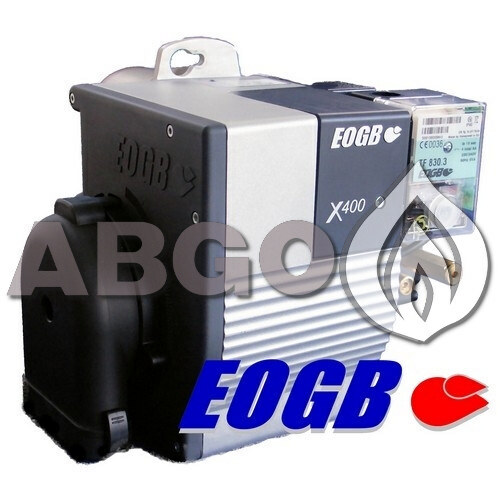 The X SERIES oil burner range is the latest from EOGB, a company renowned for high quality, technical excellence and environmentally safe products. Four models, with outputs ranging from 12-130kw, can be configured for conventional or ducted air inlets to suitinstallations in domestic, commercial and light industrial premises. The X SERIES is built for the UK market where there are significant differences in the oil fired burner market from other countries. the predominant use of kerosene coupled with modern boiler designs which are generally cased, room sealed and have compact combustion chambers, place extra demands on the burner. From concept to production every aspect of the X SERIES and has been rigorously tested. attention to detail has ensured reliable, continuous operation and compatibility with all of today's high resistance oil-fired boilers. a powerful 90 watt motor with high temperature bearings is standard to give that extra life and reliability. internationally recognised quality procedures are followed to monitor the highest standards of manufacture and performance. The small compact X SERIES burner fits most existing boilers; a universal mounting flange provides a solid airtight attachment and is secured by a single screw. excellent access to all internal and external components without the need to break oil or electrical connections. for added engineer convenience, adjustment points for oil pressure, air and control box are all front facing and the whole control pack can be released by slackening the locking screws. The new X SERIES offers simplicity and convenience and therefore reduces installation and maintenance costs. The X SERIES not only meets EN267 but also exceeds current european standards for emissions. at EOGB the highest priority is given to developing environmentally safe products. as part of this philosophy, the simple and precise adjustment facilities of the xseries encourage optimisation of performance for safe and economic operation. Supporting now, developing for the future.